I was recently sent an advance copy of this book and I was so eager to read it! Although neither of my children are on the autism spectrum, both have dealt with one of the challenges that children on the spectrum sometimes deal with- Sensory Processing Disorder, as well as the resulting learning delays/disabilities. 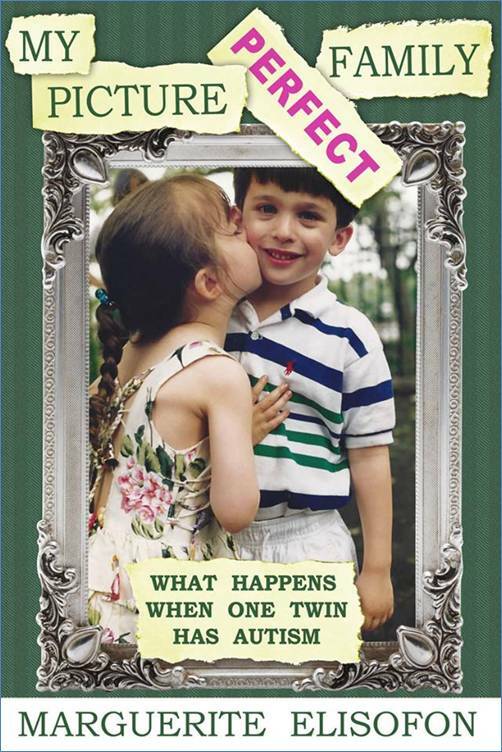 As I got further into the book, I also found that Elisofon's daughter Samantha, the twin on the spectrum, was also diagnosed with Exotropia- the same visual condition my son had. For any parent who has dealt with parenting challenges, or any parent who know someone who has gone through a journey like the Elisofon family, this is an excellent and inspiring read. Interspersed with family pictures, Elisofon's story about Samantha's journey was touching and I absolutely cheered for Samantha's accomplishments after reading about her early difficulties. This is a must read! Why Now? by Carey Heywood Released Today!